If you need a ring that looks tough and solid, this titanium ring might be the one for you. The combination or black and grey titanium looks just fantastic. The shipping was extemely fast. It fit perfectly. The ring does pick up finger prints pretty badly, but overall it is a nice ring. He loves it! 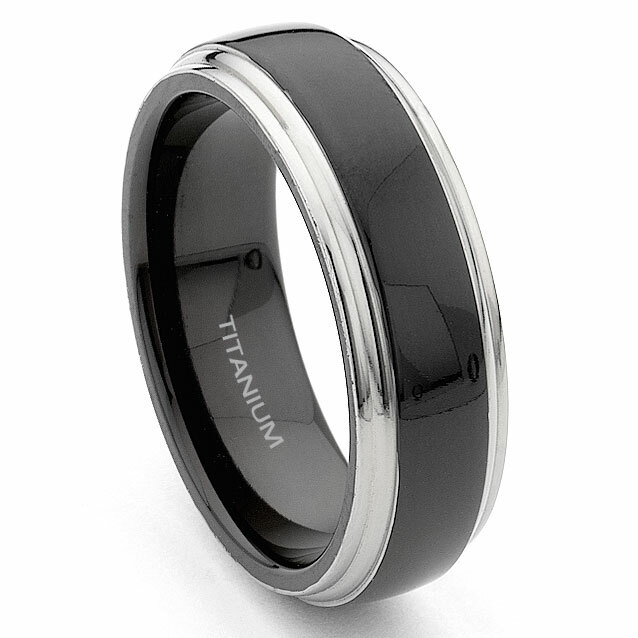 I recently ordered the titanium band for my husband. And we both love it. Its lightweight, which is nice since he doesn't like the feel of jewelery on his skin. And the service was wonderful. I received the ring just days after i ordered it. The whole thing went very smoothly. I was concerned with how light weight the ring was at first then I found out it was due to the titanium and that's how they are suppose to be. My husband loves the ring and loves that he doesn't even know its on. ITS GREAT!!!!! 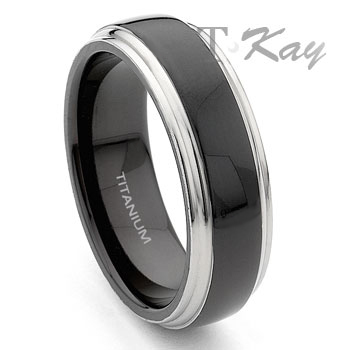 We came upon the titanium kay website through Amazon by accident and I'm glad that we did. I always buy items online and I have never experienced such fantastic service that I received at Titanium Kay. The product was great and cost-efficient, the service was excellent, and their responsiveness towards my questions was excellent. Titanium Kay is truly a Tier 1 provider. I will always make sure to check with them for a product I want before I go anywhere else.